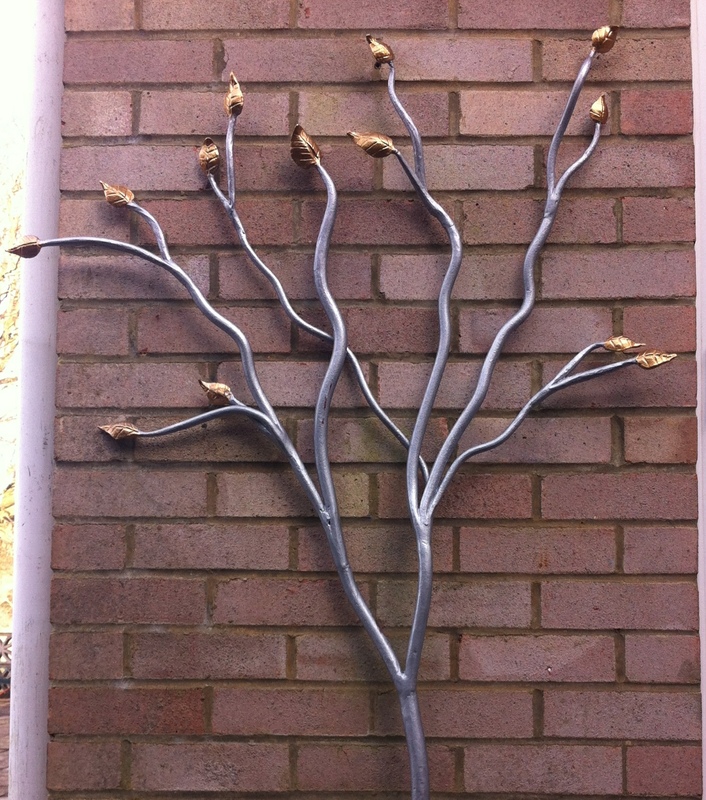 When a private client asked for something to brighten up her garden patio in winter, we knew exactly what she needed – a tree that never looses it’s leaves. 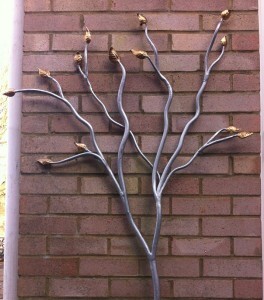 This traditionally fire welded tree shows the fluid properties of forged steel to great effect. A touch of golden and silver paint makes it feel regal no matter what the weather is.